The Ultimate New Year's Resolution: Make 2014 Your Year of Fast Learning! With a New Year upon us, everyone else is posting about how to set goals and make New Year's resolutions. In this post, you can learn about how to make the ultimate New Year's Resolution - you can learn new skills and habits fast using a 4 step process from Josh Kaufman and lots of other resources. Learn 12 new habits in 2014 if you apply this model to learn one new skill each month of the year. What are you going to learn in 2014? Have you ever learned new skills, and felt overwhelmed and intimidated? Did you feel unnatural and uncomfortable as you tried out your new skills? If you're like most, you might have even had doubts that you could really perform those new skills and a strong urge to revert back to your tried-and-true old habits. 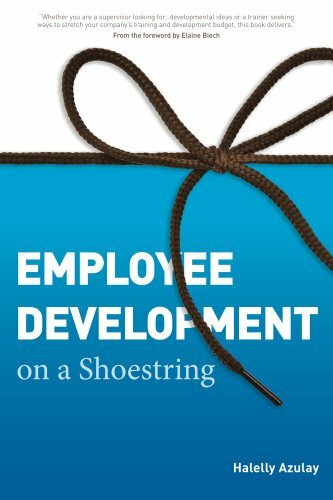 I've spent this past summer drafting the manuscript to my first book entitled Employee Development on a Shoestring, which is scheduled to be published by ASTD Press in early 2012. My book is full of practical ideas and implementation tips for various ways to help employees develop new knowledge and skills outside the classroom. I'll be blogging various tidbits to whet your appetite before the big book release. Here's the first: enjoy and let me know your thoughts in the comments below! Development assignments should push employees to develop just beyond their comfort zone, but no further. The Comfort Zone – we are fully performing our role. We experience ‘unconscious competence’ and mastery. We are able to perform easily and without exerting great effort. We do not find our work overly challenging anymore. We may be doing just enough to get by if we get too comfortable. The Learning or Stretch Zone – just outside the comfort zone, this is where we leverage what we know and do well and are able to focus energy on new skills, tasks, or requirements. We are in a state of ‘conscious competence’ where we are building skills but have to be conscious of how we are performing to avoid mistakes and missteps. Our new responsibilities are manageable. The Panic Zone – if we push employees too far and stretch them beyond their capacity, they may become anxious, confused, and discouraged by so many unknown or unpracticed variables. Here we operate in a state of ‘conscious incompetence’ and even ‘unconscious incompetence’, which feels uncomfortable and which we would like to avoid. When identifying appropriate employee development methods, we need to consider the level of challenge that each type of development activity would present to the employee. The activity or assignment should be challenging, but not so hard that it feels impossibly difficult. Here is a good model to help you match the challenge to the employee's needs. 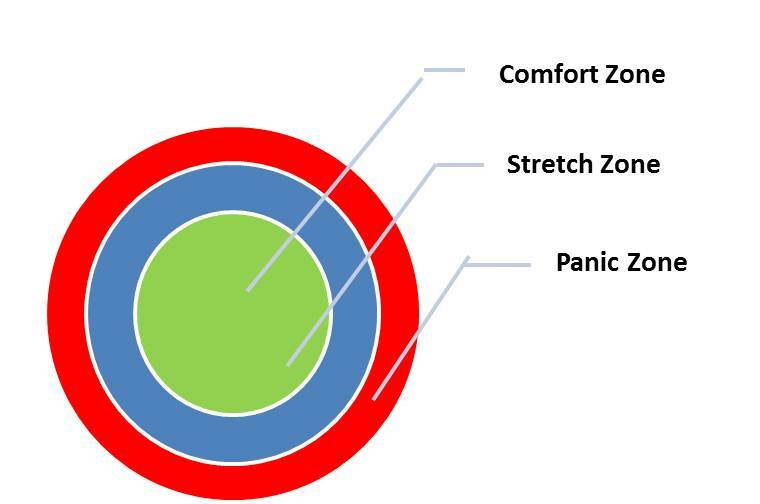 Our goal is to ensure that the employee is just at the edge of their 'comfort zone' -- in the 'learning' or 'stretch' zone -- but not too far and in the 'panic zone'. So, yes, you could stretch someone too far. And you could stretch someone too little. But you have to identify the sweet spot, the Learning Zone, to get it just right. What do you think? Have you found this to be true with your or your employees' developmental challenges?